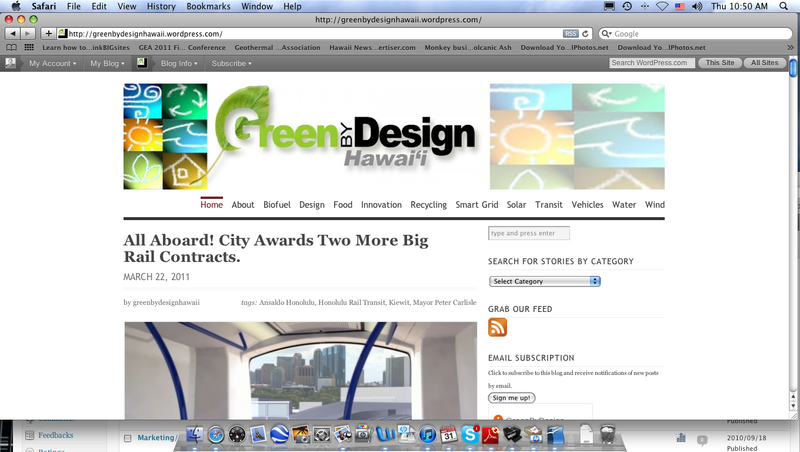 VISIT GREEN BY DESIGN, MY PERSONAL BLOG ABOUT SUSTAINABIILTY AND ALTERNATIVE ENERGY. FROM 2004 TO 2010 ROLLMAN SERVED ON MAYOR MUFI HANNEMANN’S ENERGY AND SUSTAINABILITY TASK FORCE, DURING WHICH TIME THE CITY ESTABLISHED ITS FIRST COMPREHENSIVE SUSTAINABILITY PLAN AND LAUNCHED THE CONCEPT OF THE 21ST CENTURY AHUPUA’A. look at my website diamondheadrr.com. I understand we are in similar industry and would like to speak to you.